Let me paint you a picture of what normally goes down in the Weber house the night of Christmas Eve. 8:00– Anyone trying to get a run in sits around and drinks coffee in order to procrastinate their run in order to avoid helping Mom wrap gifts (Sorry Mom, we really do love you). 9:00– Mom finally threatens that if people don’t get their runs in, then they will not be allowed to run because it is cutting into the Christmas plans. 9:30– Family manages to spend 30 more minutes sipping on coffee (that’s 30 less minutes of wrapping) until finally lacing up shoes and heading out for a (long) run. 11:00– All family members are back from run and all of a sudden that foam roller seems A LOT more appealing to use post-run than it does on literally any other day (remember that the whole goal is pretty much to get out of wrapping presents. Thank you foam roller for a clutch procrastination activity). 11:30– Family members finally head upstairs to shower. But there are only two showers. And technically if you use both at once they both get ice cold. So really technically actually kinda only one person can shower at a time (or so we tell our mom in order to drag the process out as long as possible). NOON– This is usually about when one of the four legged friends (Maverick and Savannah currently, or ZuZu and Reebok in earlier years) decides they are actually a human and goes what our family calls “counter surfing.” They usually snag part of the Christmas Eve dinner or Christmas morning breakfast off the counter, which we can then expect to find in a puddle of nastiness-half-digested-food later on when the four legged friends’ stomachs decide they cannot process food like a human. 1:00– Two or Three family members realize they forgot to grab a couple things Mom asked them to grab from the store. 1:15– Said family members rush out to grab said items from said store before said store closes. Said family members also half planned to forget said items because running said errands is a great way to avoid the dreaded gift wrapping (again, really sorry Mom- I promise we love you. We just don’t love wrapping). 4:00– Finally all family members are present. Family spends one hour wrapping all gifts for every immediate family member and extended family member. 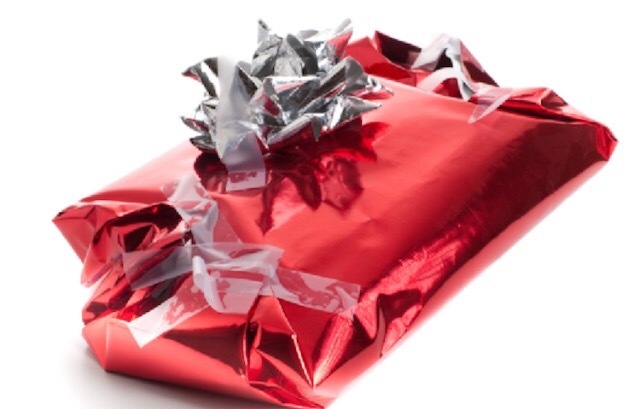 Gifts for immediate family members generally are “wrapped” in paper, but it’s actually more like crinkled patterns taped to boxes with smeared Sharpie all over since we forgot to buy name-stickers… again. Gifts for extended family members are generally put in bags because our skills with the wrapping paper are less than optimal and we save the less than optimal for immediate family members only (See example below). My family has a spectacular way of making a scene literally EVERYWHERE that we go. For starters, I have ZERO volume control. At all. My voice just carries and no matter how hard I try, I cannot make myself any quieter, especially when I am super excited about something (like Christmas). The lack of volume control is something I inherited from my dad. But with Dad, the big deal isn’t as much the volume of what he’s saying as it is the content of what he’s saying. My Dad has been kicked out of some of my rec soccer and basketball games for yelling some questionable things at the refs (he still will argue that “It wasn’t offsides!”). My sister has ADHD and doesn’t always get social cues. You know when you are younger and your mom keeps giving you that stop-that-right-now-because-you-are-loosing-privileges-by-the-second look because she doesn’t want to make a scene in front of other people? We all know that look. But my sister Anna never learned it. Which means that sometimes, we are in public and she starts re-wiring her braces (throwback to 2006) or making up song lyrics and repeatedly singing them over and over again, oblivious to all the odd looks she is getting from people in the shopping mall. And Ellie is blunt. Really super blunt. She will always speak her mind. She thinks she is actually helping you by telling you an outfit looks bad on you, that you need to work out more, or that you are going the wrong direction. And honestly, she probably is helping 99% of the time. But the problem is that perfect strangers are not used to this, and they definitely do not always appreciate Ellie’s “helpful” thoughts. And finally there’s my mom. I think my mom’s favorite thing to do is embarrass my sisters and me. She is the queen of taking pictures at all the wrong moments. She laughs really loudly at EVERYTHING. And she tells really embarrassing stories about my sisters and me to anyone that will listen. Oh ya… and my parents are divorced. Which adds a whole new element of dysfunction/ making a scene to the pile when we are all together in public places. Weber family walks in. Already draws lots of attention because every family member is either close to or over 6 feet tall. Ellie realizes Anna and I borrowed something of hers that we now are wearing. She starts loudly lecturing us in a high pitched voice that sounds similar to an upset version of Reese Witherspoon in Legally Blonde. Dad makes some snide political remark that he thinks only he himself can hear -but we have no volume control in this family- so a few heads turn and look at our family. I can only imagine what they are thinking. We are usually some of the last people there. So we are crawling over people to get to our seats. “Excuse me! Sorry! Ahhh my bad!” Everybody in my family either sings an octave above or an octave below the “normal” key. Nobody actually just sings how they are supposed to. Again, heads turn. We are that family. Someone has to get up to go to the bathroom in the middle of the service, someone’s cell phone rings, and someone else has a coughing attack that lasts for five minutes. All the while, my mom keeps shooting people the pull it together look and I just shrink down in my chair, trying to make myself as short as possible in order to hide from the stares of the rest of the congregation. Let me paint you a picture of Christmas Eve this year. Christmas Eve this year was much different than Christmas Eve’s in the past. But my family is far from perfect. I have a father who is a recovering alcoholic. My parents are divorced. My sister has ADHD. Ellie and I absolutely loose our minds when something doesn’t go according to plan or we can’t control a certain situation. It’s exhausting. Nobody has volume control. We fight. Sometimes voices are raised. Even our dog (the cutest dog in the entire world) isn’t perfect. He eats our shoes and we constantly are missing things, only to find them a week later when we are picking up his poop. A picture of the chaos. When I say my sisters and I fight, sometimes we actually are literally physically fighting. I think this time we were fighting over who was in charge of feeding the dog. This Christmas Eve, I found myself looking around and seeing that same brokeness in every family around me. Every person at that service had something they were carrying with them- and nobody was trying to hide it. Whether it was broken relationships, broken health, broken families, or broken bones, each individual had something in common: they were all sinners saved by one thing and one thing only- grace. Beyond the brokenness, I saw grace. I saw people loving each other through the craziness, chaos, and brokenness. I saw parents laughing at their kids that were being a little too loud. I saw five year olds doing cartwheels down the aisles. I saw moms soothing their crying babies while remaining seated rather than rushing out in a moment of embarrassment to hush their noisy infant. I heard jubilant voices that nobody was trying to quiet. I saw sisters and brothers teasing each other and joking with each other as they anticipated the excitement of the next morning. I saw all of these people living in and fully experiencing grace. 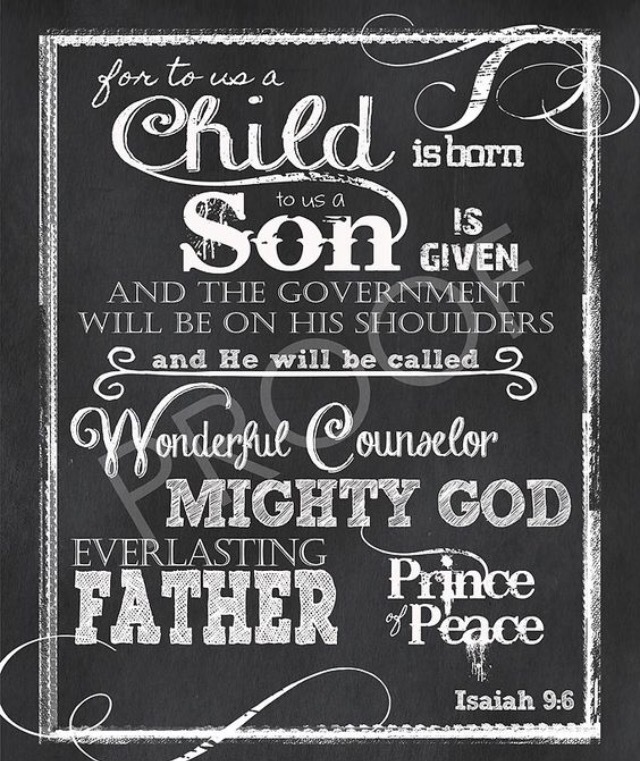 This, I thought to myself, is how God intended for us to experience Christmas. This is how God intended for us to experience Him- Unashamed, joyful, and fully present in the complete grace that Baby Jesus offers. Let me paint you a picture of Heaven. Every tear shed on this Earth will be taken back and wiped away. Every heartbreak. Every loss. Every broken moment will be wiped away by Christ alone. When I was little, we always used to go to the Park of Roses. I would sit in the gardens and dream of having my wedding at that park. Little girls love to dream about their weddings because to them, weddings are the “happily-ever -after-fairy-tale-ending” that all of our hearts long for. And my five year old self had chosen The Park of Roses to be my destination for that “fairy tale moment” because it was the most beautiful garden I had ever seen. But God One-Ups the Park of Roses in a MAJOR way. God created Heaven. The gates are made of pearls. The streets our made of gold. And God himself provides the light. Constant un-ending light. Sorry Park of Roses. Sorry five year old Rach. I don’t think that there’s any “fairy-tale moment” here on earth that will ever compare to living inside Heaven’s gates, where my tears are no more and I am forever living in the grace and love of Jesus (on golden streets and inside sparkling pearl gates). Not even a wedding at The Park of Roses. Sitting in that service on Christmas Eve, I had the opportunity to experience a sliver of what God has to offer us eternally. I was sitting in that service and just thought to myself, “this really must be what heaven feels like.” Here I was, a broken sinner, in a broken family, surrounded by broken people. I don’t have a 4.0. I am not an NCAA champion. My socks don’t match 90% of the time. But Jesus was born anyway. He went to the cross and died for me anyway. He chose to love me anyway. God loves me when I do a crappy job wrapping gifts and it looks like a 2-year old wrapped them. God loves my family even though my parents are divorced, my sisters and I argue, my dog still has accidents in the house, and we all have a volume control issue. God loves the people at Rock City even though their lives are chaotic and messy as well. God loves us anyways. I am thankful for Christmas because it reminds me that through my brokenness and sinfulness, I am loved anyways. I am saved anyways. I am free anyways.